The 8.2 magnitude earthquake shook southern Oaxaca state and Chiapas a month ago on September 7, 2017. What’s the situation in Chiapas now? 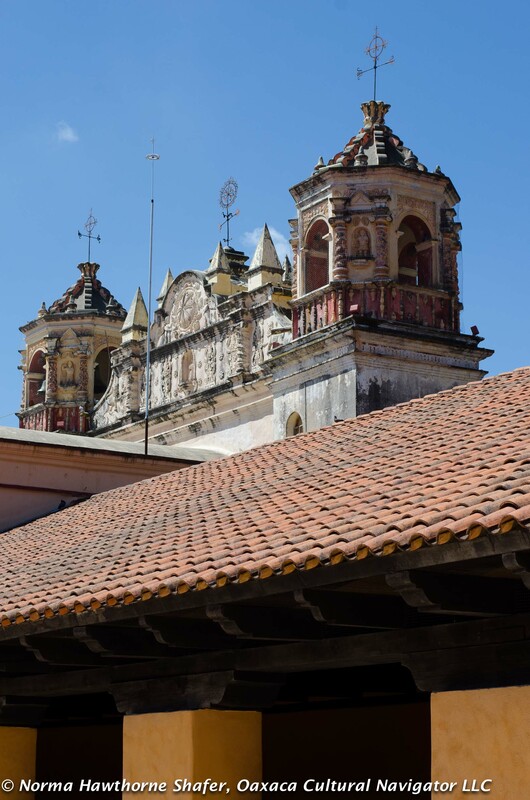 I asked my friends Ann Conway, owner of La Joya Hotel, and Bela Wood, owner of Bela’s B&B, for an on-the-ground report about the state of things in and around San Cristobal de las Casas, Chiapas. What suffered damage there? I asked. What is closed? What is being repaired? Are tourist sites open and safe? 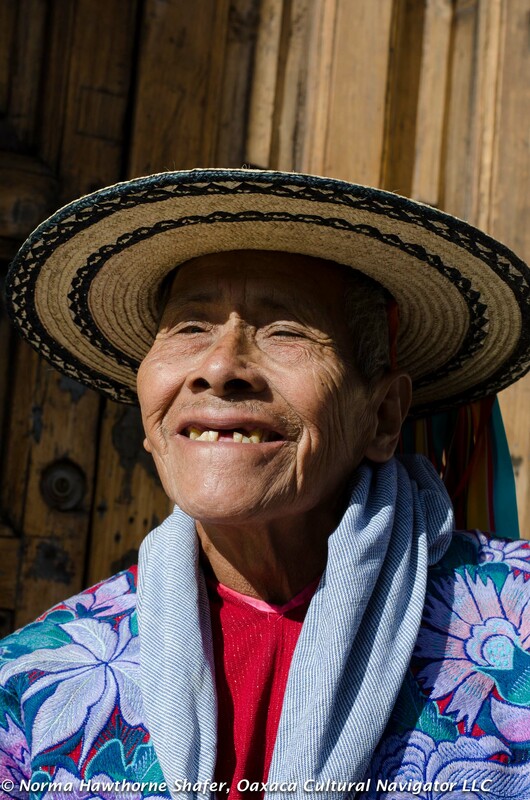 What about visiting villages like Zinacantan, Chamula, Tenejapa, and Magdalenas? Seems like there is a US State Department Advisory for the area and a rumor flying that Centro Textiles Mundo Maya is closed. Here is what Ann and Bela replied. Bela Wood says, As far as I know all the villages are okay. In the historic center, two churches are closed pending repairs, and the Palacio Municipal is closed for repair. Otherwise it’s fine. It feels quite safe. In fact we held up amazingly well for the size of the earthquake. Ann Conway says, Many of our guests are from Mexico and other countries that don’t give much credence to what the US government has to say about safety here in Chiapas. Most of us who know and live in Mexico agree with this. Amigos de San Cristobal, an NGO support group, says, Hello Norma, Chiapas was affected by the quake, but the areas with the most damage were on the coast. Some museums are closed but not the Centro Textiles Mundo Maya textile museum. In the villages of Zinacantán and Chamula all is good. We hope you will come visit us and we look forward to welcoming you. It is safe. 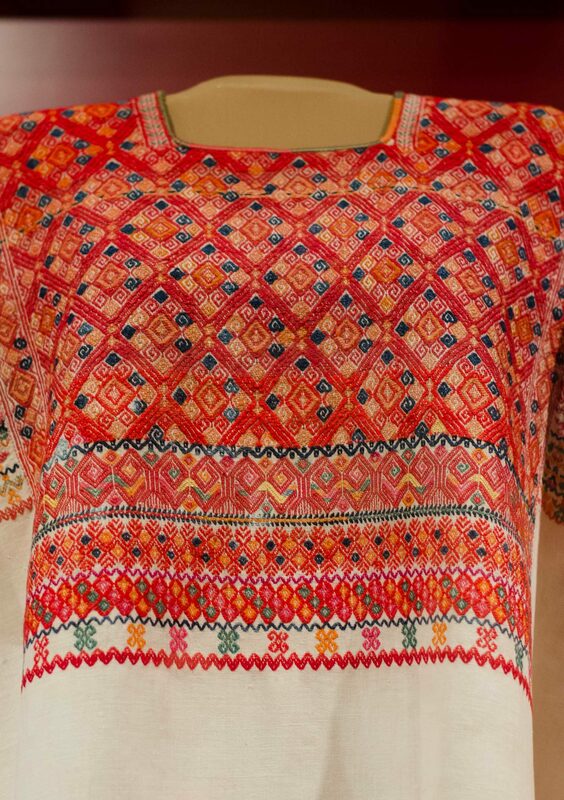 Centro Textiles Mundo Maya, is the Chiapas textile museum located in the historic center of San Cristobal de las Casas. Here is what they say: We are still standing! We are pleased to share the news that our ex-convent of Santo Domingo was inspected by specialists and is in excellent condition to continue operations. We are waiting for the permits to perform minor repairs and resume our normal activities soon. I’ve written before and I’ll say it again, Oaxaca City is safe. There has been very little damage and no loss of life. The same for the tourist destinations of Puerto Escondido and Huatulco. Please do not cancel your visit! It’s Sunday in the Oaxaca Valley. 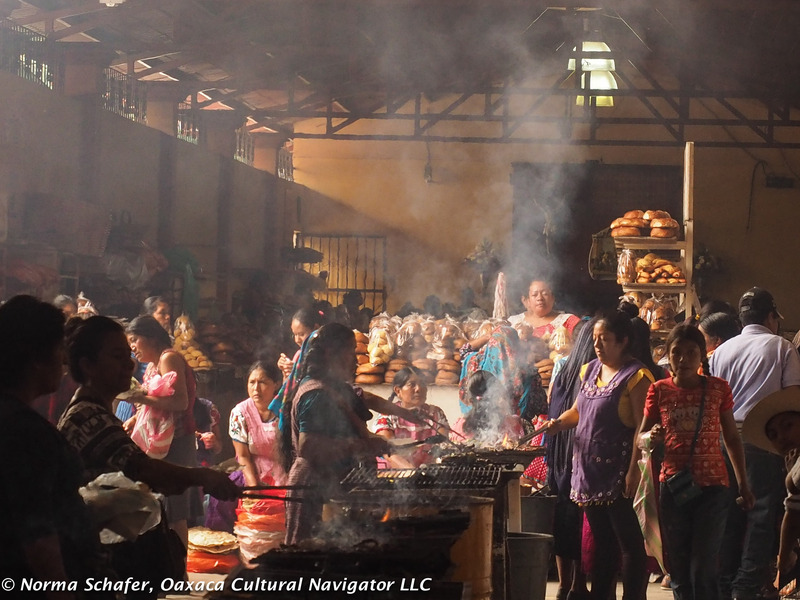 Time to spend the day at the amazing Tlacolula Market. 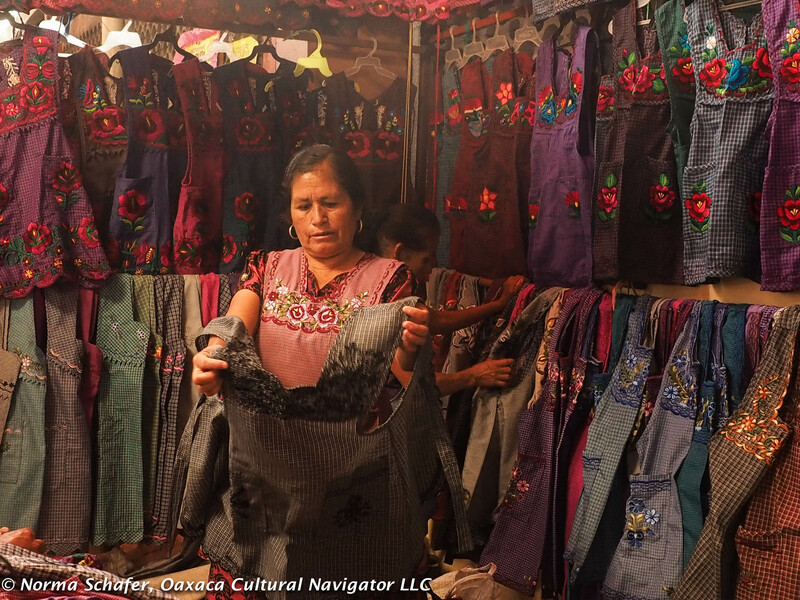 Located about 45 minutes from Oaxaca City on the Carretera Nacional–Mexico 190–between Teotitlan del Valle and Mitla, the market is the biggest and IMHO, the best in the region. I suggest you get there by 11 a.m. and stay until at least 3 p.m. All transportation points you to Tlacolula on a Sunday. You can take a bus from the baseball stadium in the city or a colectivo from the same point. If you wish, hire a private driver and have him wait for you at about 180 pesos per hour. I created this map because the market is complex and goes deep. You don’t want to miss anything! The map costs $9 USD. Please order at least 24-hours in advance. I send this to you as a jpg or PDF. You print it out and take it with you — for personal use only! 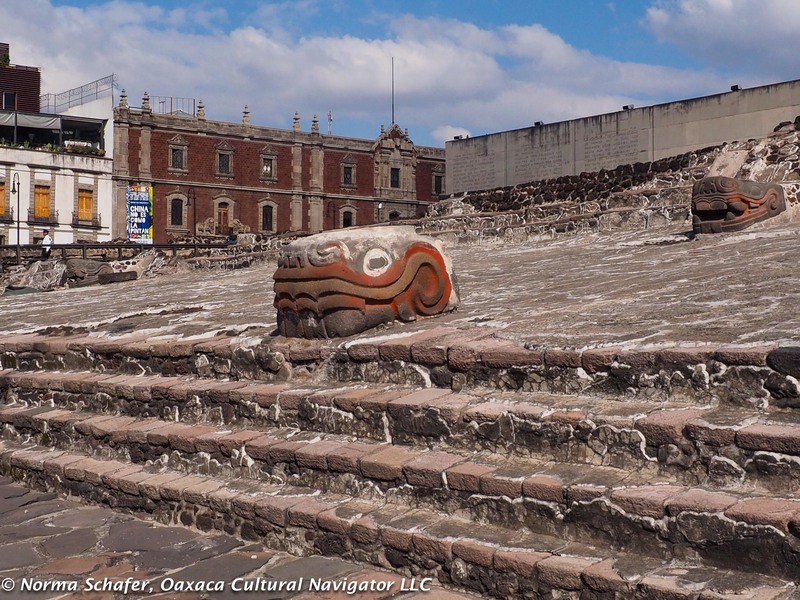 ORDER YOUR TLACOLULA MARKET MAP HERE! There are some flash points to avoid for personal safety. The narrow arch that spills out from the church courtyard to the street that connects on the opposite side to the permanent market is where the purse-slashers and pick-pockets hang out. Don’t go through there, go around. Assessing quality, style and price. The map indicates my favorite place to eat, places to shop and to explore. You don’t want to miss any of it! 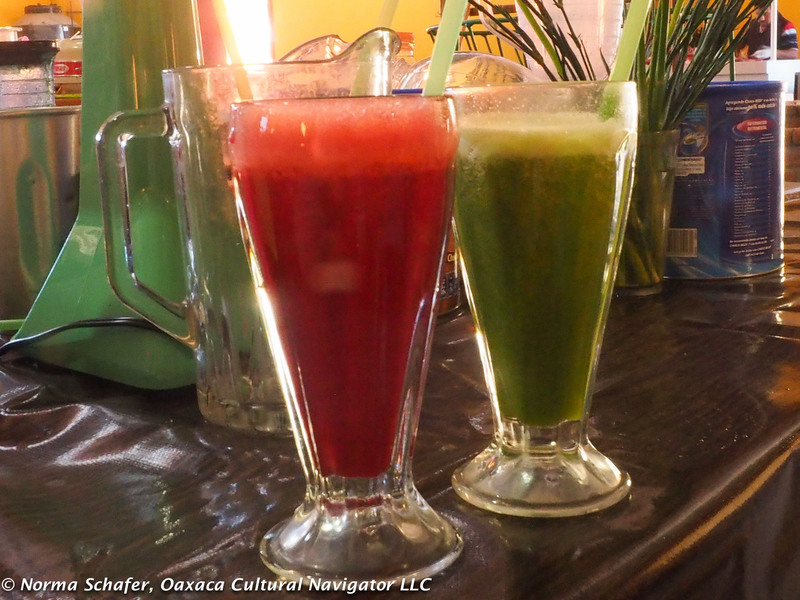 Where to taste the best nieves — ice cream — or sample agua miel, the unfermented first juice of the agave cactus filled with digestive health benefits. With the map, you will know the streets, where to get cash at the ATM, how the town is laid out, where to get the colectivos, where to park, how far to meander without missing anything. This map offers an option to those who want to know where they are going before they get there! 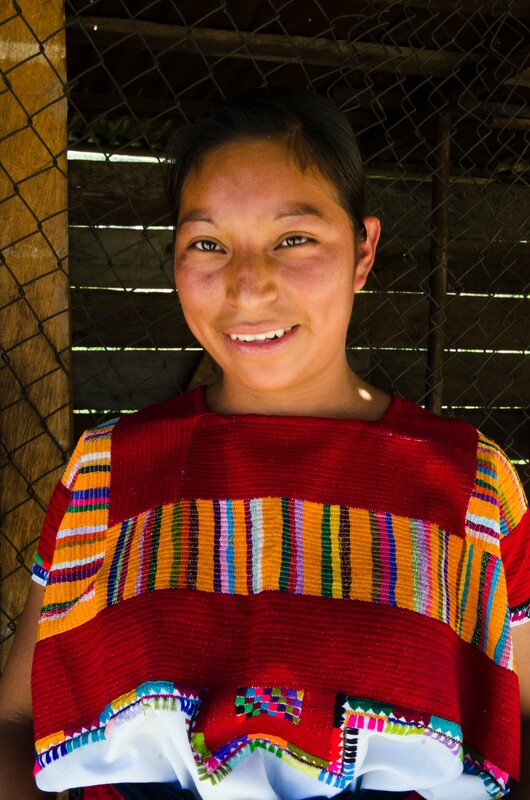 ORDER YOUR TLACOLULA MAP HERE! 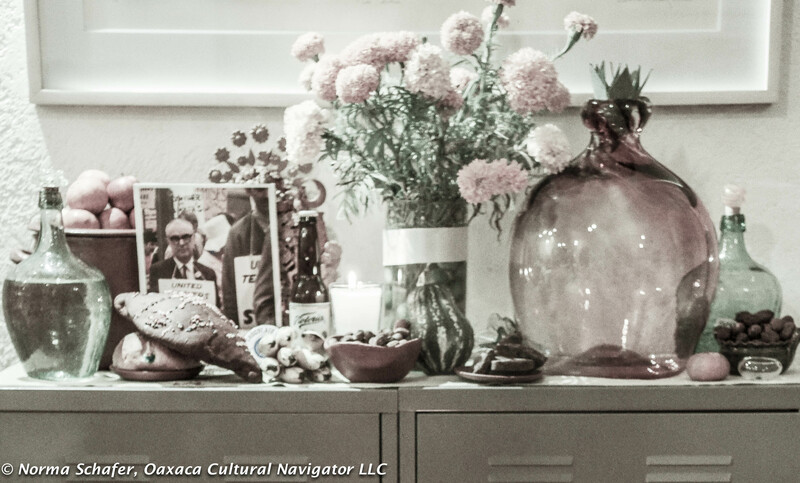 Thank you for supporting Oaxaca Cultural Navigator LLC. We invest a lot of time writing the blog and publishing photos. This is one way to help underwrite our efforts. SELF-GUIDED TOUR MAP TO TEOTITLAN DEL VALLE WEAVERS! 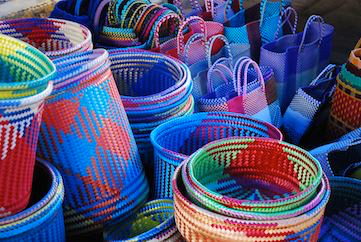 Colorful plastic woven baskets, Tlacolula Market. Map to buy! 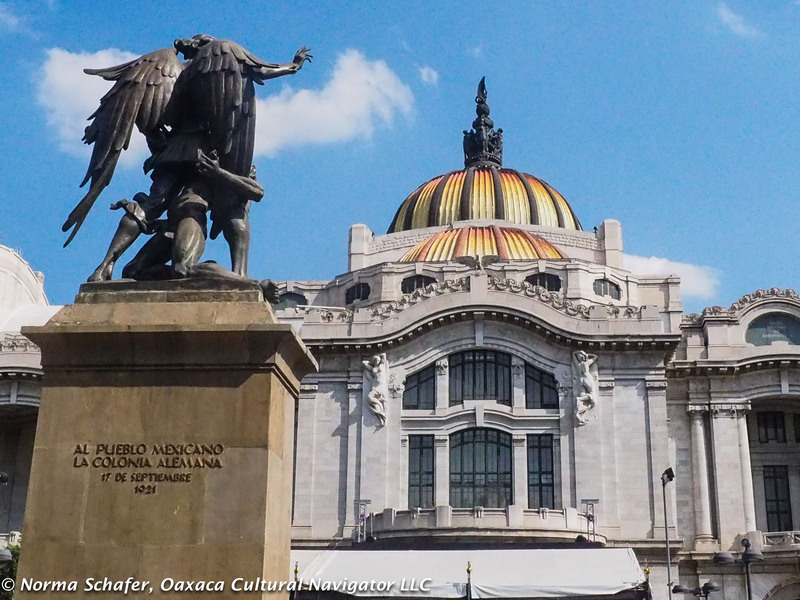 Have you been to Mexico City? Is it SAFE? Share your comments. Why did you go to Mexico City? How was your experience arriving at the Mexico City airport? What about getting a taxi to take you to where you were staying? What neighborhood did you stay in? Did you walk around? What time of day? Did you feel secure? Why? If not, then why not? 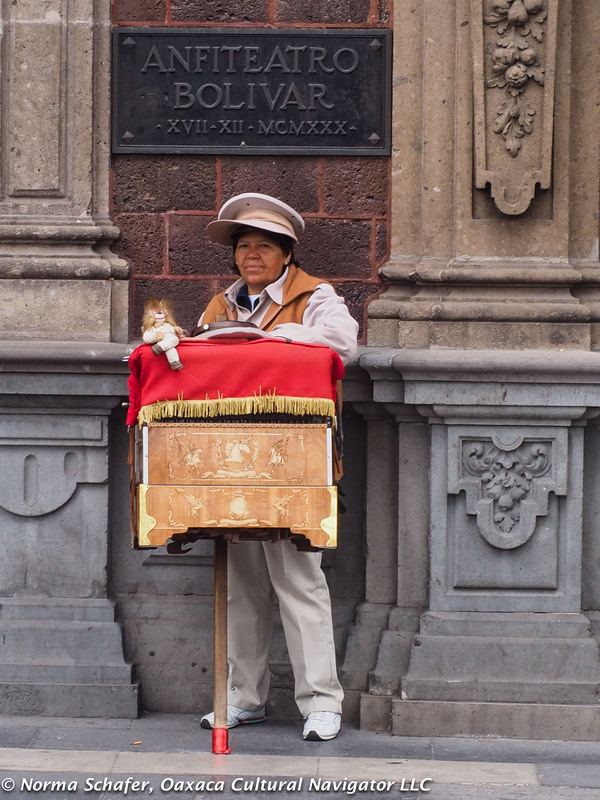 Is Mexico City more or less secure than any other city you have been to? Why? Are you a man or woman? Did you travel alone? If not alone, who did you travel with? 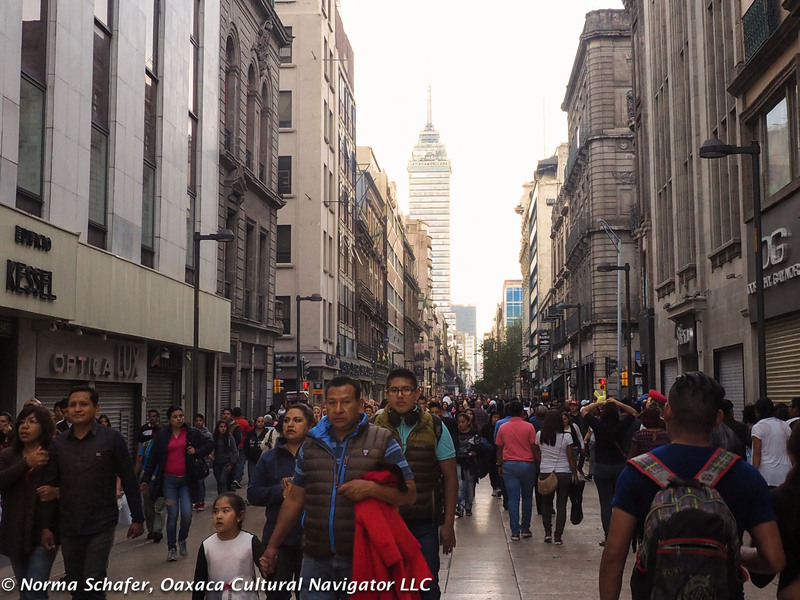 What would you recommend for safe travel in Mexico City? Would you give me permission to use your name and comments? 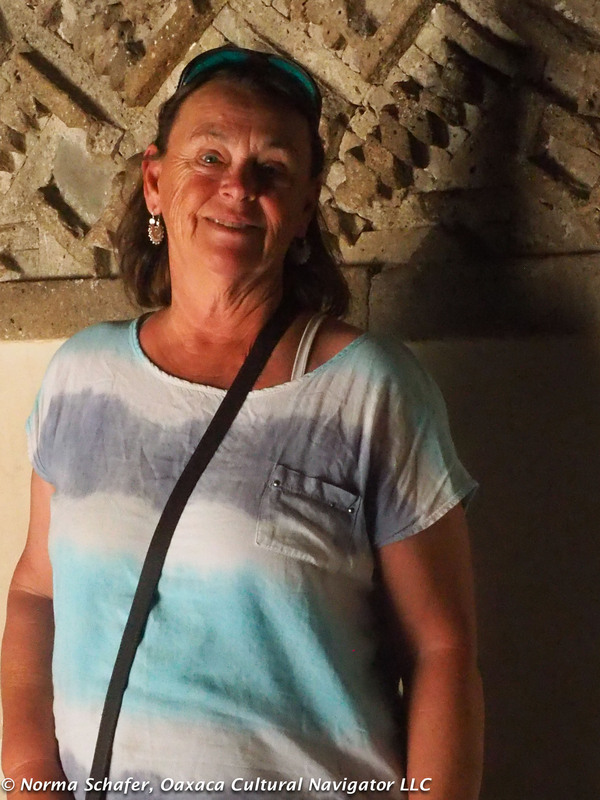 My friend Debbie from North Carolina came to visit me in Oaxaca this week. It was a fast three nights and two-and-a-half days. We packed a lot in as the news of the world was (and continues to) unfolding, raging, tangling itself up around us. I wanted to show her my world here. Archeological sites. Markets. Weavers. 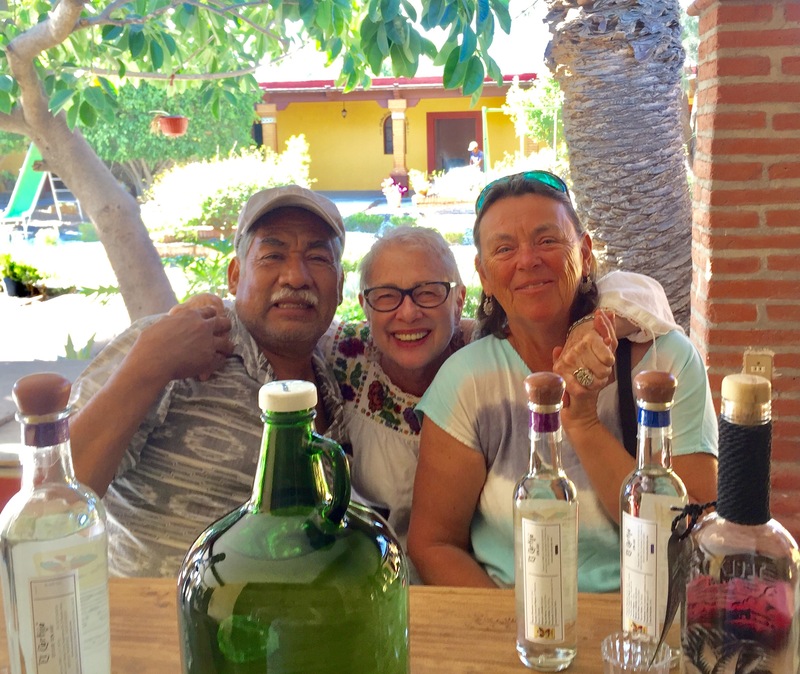 Mezcal and candle makers. Mountain vistas. High desert. Debbie is more than a friend. We share the sisterhood of once living together as neighbors in a co-housing community that was based on consensus decision-making. Our relationship developed amidst all the attending struggles within a group of having to reconcile differences and come to agreement about how to live with respect, caring and intention. This is not easy, not natural and takes practice. We were part of a women’s group that shared reading material, discussions, intimacies, success and disappointments. We comforted each other when there was loss. We celebrated together when there was joy. We lost a friend in this group to cancer that took her fast. We mourned. Picked up. Continued. The counterpoint for me is how to be a good host. Give comfort, security, food. Offer activities, entertainment and quiet. Make introductions to friends. Sit and talk. Understand the then and now. Have fun. Create discovery. A lesson how to be a good host should be a taught to the USA’s new administration. This is not only about how to stay in another person’s house. It is about how we live/visit as guests in a country other than our own. It is about how we welcome people in, consider their needs. 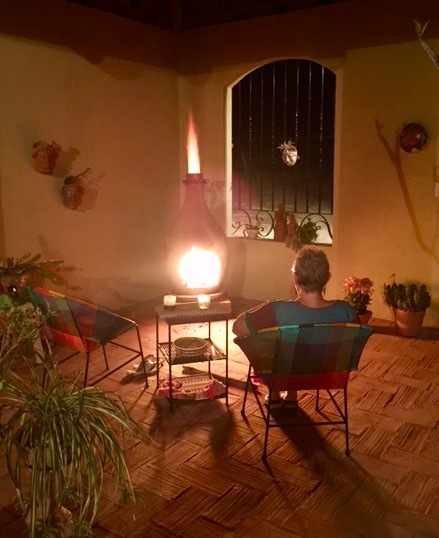 Even for those of us who make Oaxaca or Mexico home for several months or the entire year, even for those of us who have taken up permanent residency, we are the other, the guest. In that capacity, how do we behave? How do we interact with the local community? What do we contribute? Are we observers or participators in local customs and traditions? What is our footprint? This week, in the United States of America, land of the free and home of the brave, at the end of the first week of the 45th president, we have closed our borders and threatened our immigrants. We are at risk of sacrificing our civil liberties out of fear and isolation. The country of my birth, where I also make my home, is rampant with xenophobia, arrogance, and has retreated into becoming a very bad host. The risk of losing values — that of welcoming the huddled masses yearning to be free — brings me despair. Mexico, land of the free and home of the brave, too. This new president, whom I call Mr. Orange Menace, has a lot to learn about hospitality, although he seems to run hotels. But, oh, yes, they are for the very wealthy! Here in the Mexican village I call home for much of the year, I am a guest. I try to remember that daily. I live here in respect for my hosts, the indigenous people who are my neighbors. I know many by name and they invite me into their homes to visit, for meals and celebrations. As a good guest, I try to be helpful and not overstep. Keep my footprint in sync with theirs. I live in a small casita and drive an old car. I am not worried about living in the campo. With the tone of discourse between Mexico and the USA at a low point, with the bullying and bluster of wall-building on the border taking on fearful proportions, I can’t help but wonder if that will have an impact on how I might be treated here. I can only imagine these parallel universes between cross-border immigrants. Respecting minority rights is a basic principle of humanity, of democracy. And, all I want to do is say, I’m sorry. 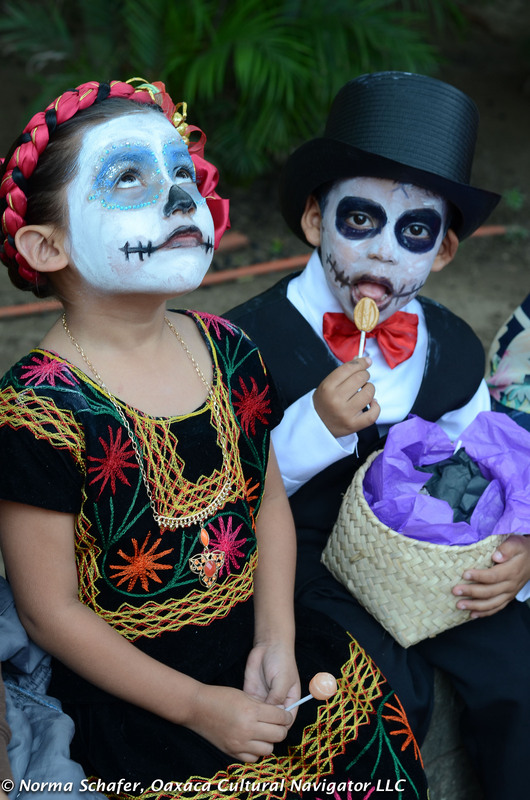 Oaxaca Safety and Day of the Dead: Come or Cancel? 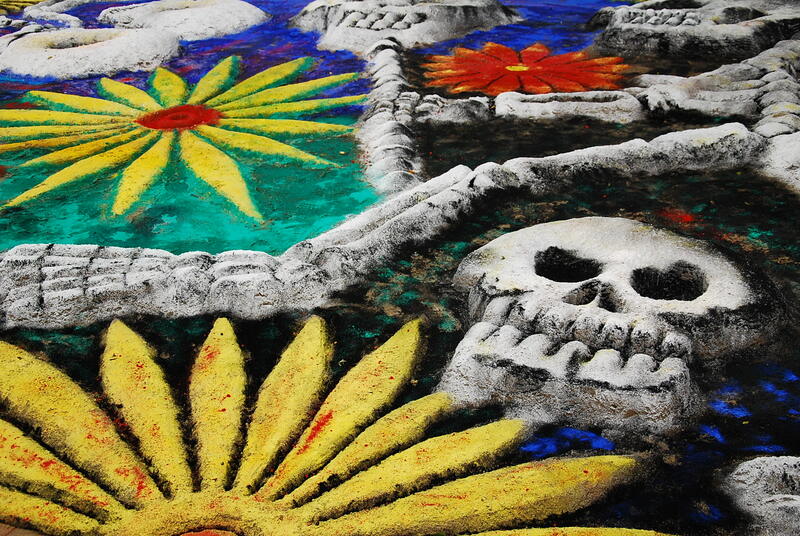 I’m hearing about people thinking of canceling their Day of the Dead trips to Oaxaca this year. Someone said they were afraid of the Zika virus. I haven’t heard of any cases being reported here. Fear is powerful. 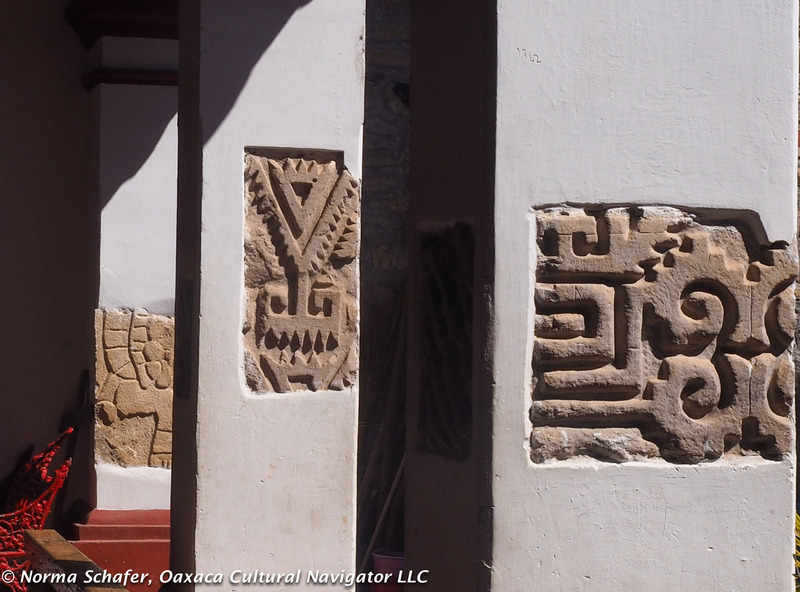 I returned to Oaxaca five days ago. 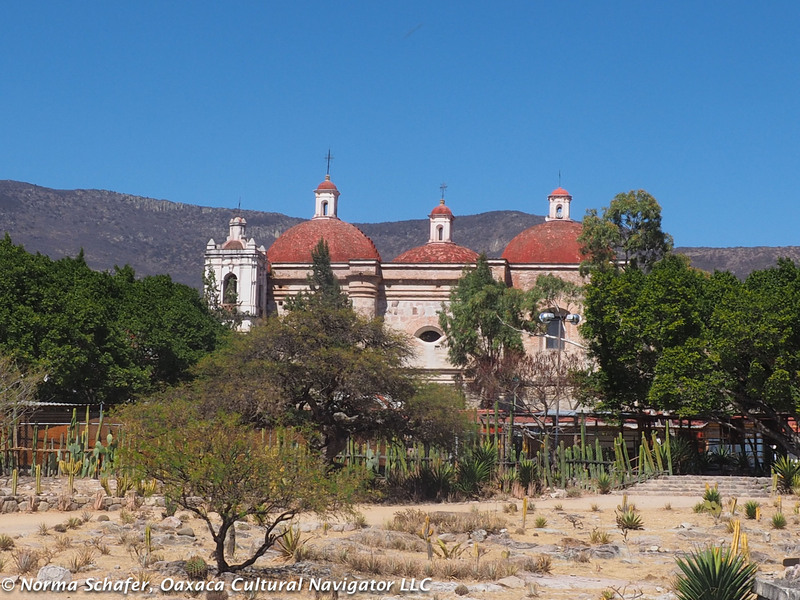 It was an easy flight from Orange County, California (SNA) to Mexico City on Southwest, then a connection to Oaxaca on Interjet. I arrived in Teotitlan del Valle without incident. Not even an airplane snivel. Out and about on Sunday in Mitla, I saw tourists. They are mostly Europeans, Germans, Swiss, French, Dutch. Fearless world travelers. 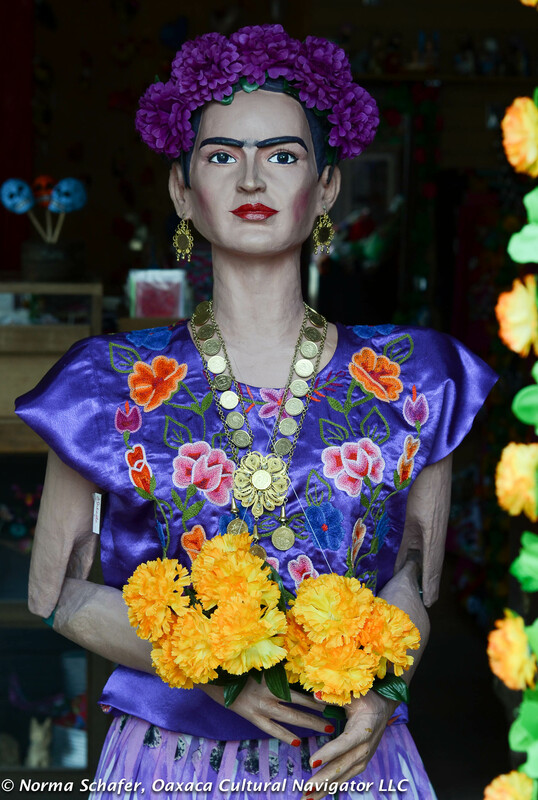 We are rounding the corner to prepare for Dia de los Muertos — Day of the Dead. 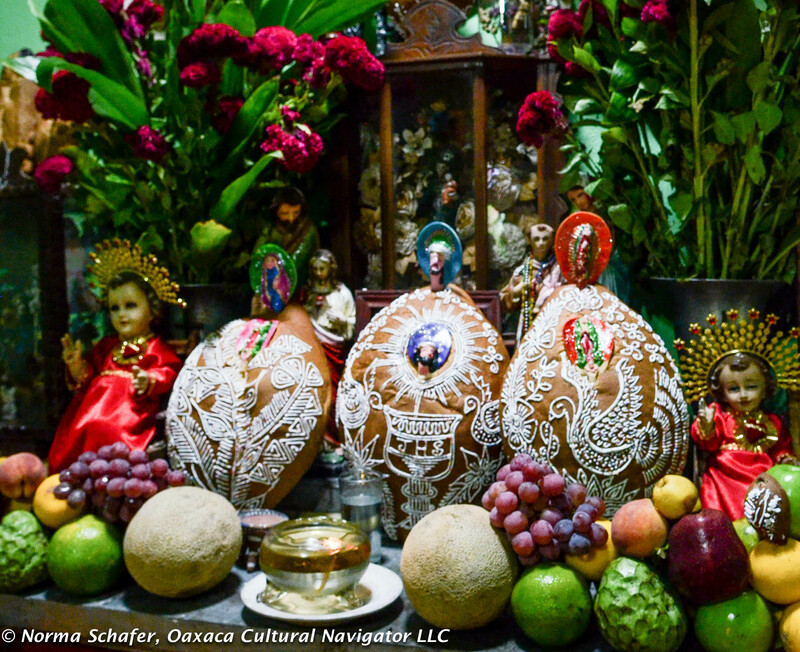 Oaxaca is famous for this celebration of life and its continuum. Hotels are usually booked a year in advance. But fear is in the air. People are asking once again, Is it safe? Should I come? Should I cancel? The 2016 Guelaguetza is behind us. Observing from my son’s California living room, I heard various numbers: from a 31% to 53% occupancy rate in Oaxaca hotels. This is devastating news to a tourism-dependent city. Yet, I also heard the auditorium was packed with Mexicans and Europeans. Only the Americans missed out. My own altar, in memory of dad. This year, we add our mother. Why are we so afraid? I think this is an important question to ask ourselves as protectionism and insularity dominate the political rhetoric in our social discourse. Are we willing to stay put, stay home, close ourselves off from an invigorating world that offers exploration and discovery, and is probably no more or less safe than going to the local mall. Fear is self-protection. It is also paralyzing. I subscribe to Improvised Life. Sally Schneider talks about how important it is to lean into the fear that puts a stranglehold on us. Onward. It’s true. 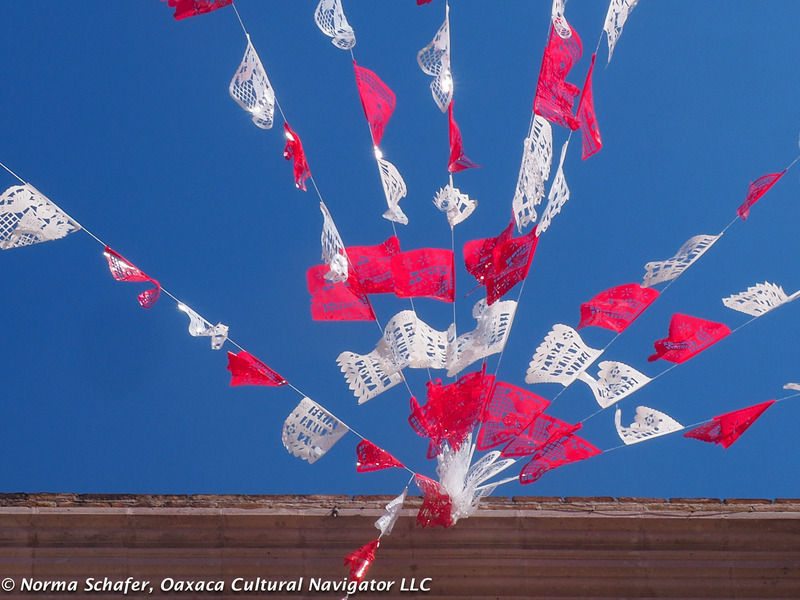 Oaxaca struggles with its own political upheavals and social justice issues. 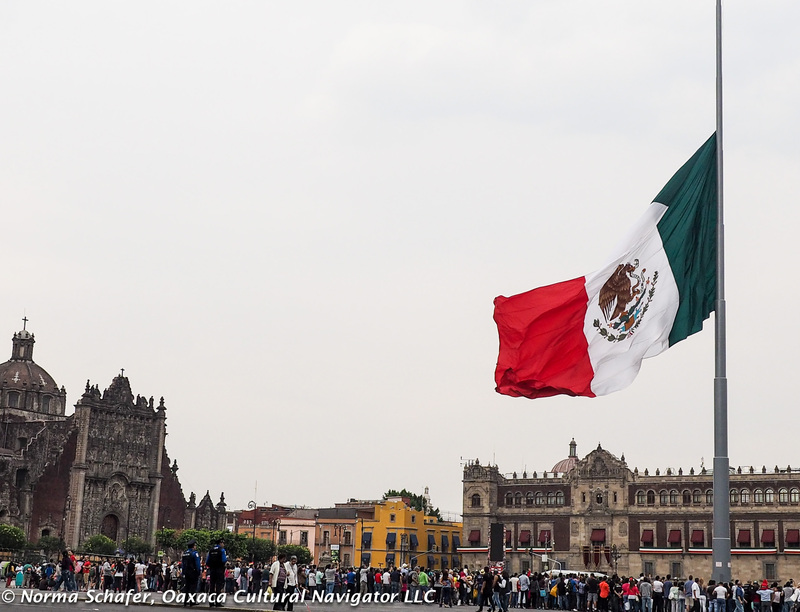 The zocalo is a gathering place for dissidents and right now, it’s not pretty. The federal and state governments are prone to take impulsive, though calculated aggressive action against demonstrators. We are aware of where these potential flash points can happen and we steer clear. Just like we wouldn’t go into a U.S. neighborhood known to be volatile. We hope for the best. 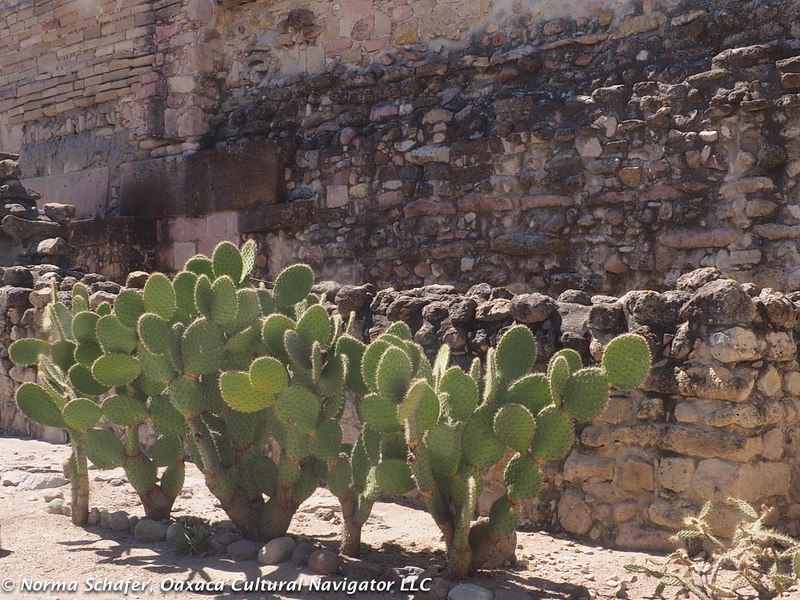 Meanwhile, life in Oaxaca continues to present its wonderful mysteries, artistic expression, great culinary taste sensations, and an unparalleled opportunity to meet artisans where they live and work. I urge you to come and not cancel. 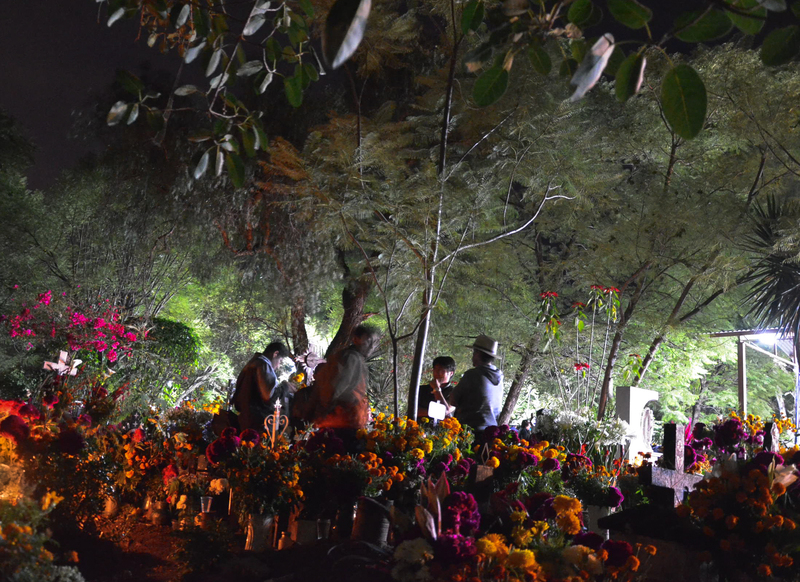 Day of the Dead is an extraordinary opportunity for examining how we feel about life and death through the eyes of indigenous people. It is with love, not fear. It is with respect for ancestors, not grief. Oaxaca welcomes you! If you are afraid, buy travel insurance. You should, anyway (smile). Wherever you go. 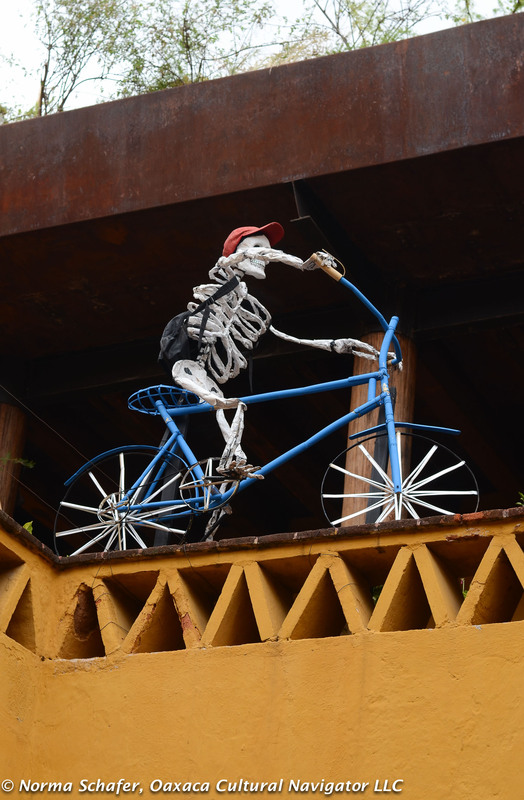 Over-the-top decorations throughout Oaxaca’s centro.